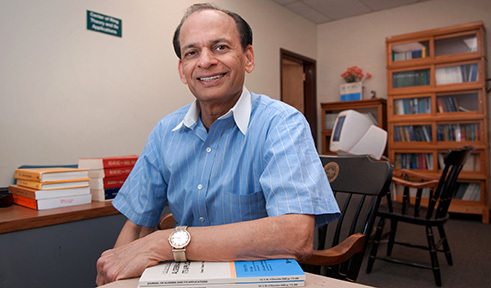 Distinguished Professor S. K. Jain served Ohio University, Department of Mathematics from 1970 to 2009. He also served as Director of Center of Ring Theory and its Applications from 2001 to 2009. Before joining the faculty at Ohio University, he was a Reader in Mathematics at the University of Delhi (1965-70). Currently, he is an Advisor and Distinguished Adjunct Professor at King Abdulaziz University, Jeddah, SA. Dr. Jain has held visiting professor appointments at several institutions worldwide. His visiting positions include the Riverside, Santa Barbara and Berkeley campuses of the University of California, the Ohio State University in Columbus, North Carolina State University in Raleigh, University of Chicago, McMaster University in Hamilton and University of Frankfurt, as well as the Indian Statistical Institute, and the Indian Institute of Technology. Dr. Jain has authored more than 135 research articles that have been published in professional journals. His papers have appeared in the Transactions of the American Mathematical Society, the Proceedings of the American Mathematical Society, the Pacific Journal of Mathematics, Journal of Algebra, Journal of Pure and Applied Algebra, Communications in Algebra, Archiv der Mathematik, Math Zeitchrift, Linear Algebra and Applications, Linear and Multilinear Algebra, SIAM J. Discrete Methods, SIAM J. Matrix Analysis and Applications, etc. He has co-authored five undergraduate/graduate texts. In particular, he is a co-author of the widely used graduate text Basic Abstract Algebra (second edition), published by Cambridge University Press (1994), Linear Algebra: An Interactive Approach published by Brooks/Cole (2003), graduate text entitled Topics in Applied Abstract Algebra, published by the American Mathematical Society (2008), and the book Cyclic Modules and the Structure of Rings in the Oxford Mathematical Monographs, Oxford University Press (2012). 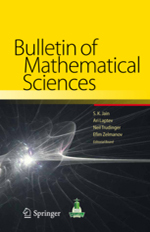 In addition, Dr. Jain is a coeditor of seven research volumes of scholarly papers in Ring Theory in Marcel Dekker (1977), Springer Verlag (1990), World Scientific Press (1993), Birkhauser (1997), American Math Society (2000), American Math Society (2006) and American Math Society (2008). He is a two times recipient of Senior Scientist Fulbright Award (1991-92, 1995-96), has been awarded grants by DAAD (German Academic Exchange Service) and US-India Scientific Exchange grants by the National Science Foundation (1991-92, 1992-94). He was the recipient of a United Nations Development Project Grant (1998-99), and of a conference grant from National Security Agency (1999). He was awarded the Outstanding Graduate Faculty Award, 1999 at Ohio University. He has delivered Professional lectures at mathematical meetings all over the world and has been the organizer of conferences on many topics in Abstract Algebra. He is an Executive Editor of the Journal of Algebra and its Applications, World Scientific Press, and that of Bulletin of Mathematical Sciences, Springer-Verlag. He is also serving on the editorial board of Electronic Journal of Algebra. He has supervised 23 Ph.D. dissertations in Noncommutative Rings, Modules, and Applied Linear Algebra. A life member of the Indian Mathematical Society, he is also a member of the American Mathematical Society. 1. Direct Sums of Injective and Projective Modules, Journal of Algebra, 324 (2010), 1429-1434 (with P. A. Guil Asensio and Ashish K. Srivastava). 2. Erratum: Generalized Group Algebras of Locally Compact Groups, Communications in Algebra, Volume 38, Issue 10 (2010), page 3974 (with A. I. Singh and Ashish K. Srivastava). 3. Rings over which cyclics are direct sums of projective and CS or noetherian, Glasgow J. Mathematics, 52, A (2010), 103-110 (with C. Holston and A. Leroy). 4. Nonnegative Group-Monotone Matrices and the Minus Partial Order, Linear Algebra and Appl. 420 (2009), 121-132 (with B. Blackwood). 5. A note on Almost Injective Modules, Math J. Okayama Univ, 51 (2009), 101-109 (with Adel Alahmadi). 6. On Sigma-q rings, J. 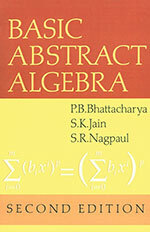 Pure and Applied Algebra 213 (2009), 969-976 (with Surjeet Singh and Ashish K. Srivastava). 7. Ore extensions and V-domains, Rings, Modules and Representations, Contemp. Math. Series AMS, 480 (2009), 263-288 (with T. Y. Lam and A. Leroy). 8. Shorted Operators Relative to a Partial Order in a Regular Ring , Communications in Algebra, Vol. 37, Number 11 (2009), 4141-4152 (with Ashish K. Srivastava, B. Blackwood and K. M. Prasad). 9. Generalized Group Algebras of Locally Compact Groups, Communications in Algebra 36 (2008), 3559-3563 (with A. I. Singh and Ashish K. Srivastava). 10. New Characterizations of sigma-injective Modules, Proc. Amer. Math. Soc. 316 (10), 2008, 3461-3466 (with K. I. Beidar and Ashish K. Srivastava). 11. Essential Extensions of Direct Sum of Simple Modules-II, Modules and Comodules, Trends in Mathematics, Birkhauser 2008, 243-246 (with Ashish K. Srivastava). 1. When is a Semilocal Group Algebra Continuous, Journal of Algebra, 312, 2007, 152-157 (with P. Kanwar and J. B. Srivastava). 2. Semiprime CS Group Algebra of Polycyclic-By-Finite Group Without Domains as Summands as Hereditary, J. Algebra, 307 (2007), 541-546 (with Adel Alahamadi and J. B. Srivastava). 3. Essential Extensions of a Direct Sum of Simple Modules, Contemporary Math Series, Groups, Rings and Algebras, 420, American Math Society (2006), 15-23 (with Ashish K.Srivastava and Late K.I.Beidar). 4. Right-Left Symmetry of Right Nonsingular Right Max-Min CS Prime Rings, Coummunications Alg, 34, 11 (2006), 3883 - 3889 (with Husain S. Al-Hazmi, Adel N. Alahmadi). 5. Group algebras in which the complements are direct summands. (Russian) Fundamental and Applied Math 11 (2005), no. 3, 3--11 (with A. N. Al-ahmadi, Pramod Kanwar, and J. B. Srivastava). 7. Modules which are invariant under monomorphisms of their injective hulls, J. Australian Math. Soc., 79(2005), 349-360 (with A. Alahmadi and N. Er). 8. Whens Is Every Module with Essentail Socle a Direct Sums of Quasi-injectives?, Comm. Algebra 33 (2005), no. 11, 4251--4258, (with K. Beidar). 1.Decomposition of Generalized polynomial symmetric matrices, Linear Algebra and its Applications, 376(2004), 69-83. (with R.B. Bapat and John Tynan). 2.Survey of some recent results in CS group algebras and Open Quesitons, Advances in Algebra, World Scientific Press (2003), 401-408. (with P. Kanwar and Srivastava). 3.Nonnegative rank factorization of a nonnegative matrix with A†A ≥ 0, Linear and Multilinear Algebra, 51 (2003), 83-95 (with John Tynan). 4.CS matrix rings over local rings, J. Algebra,264 (2003), 251-261. (with K.I. Beidar, P. Kanwar and J.B. Srivastava). 5.When cyclic singular modules over a simple ring are injective, J. Algebra, 263(2003), 185-192. (with D.V. Huynh and S.R. Lopez-Permouth). 6.Prime Goldie Rings of Uniform Dimension at Least Two and with all One-sided Ideals CS are Semihereditary, Communications in Algebra, 31(2003), no. 11, 5355-5360(with Dinh V. Huynh and S.R. Lopez-Permouth). 7.The Structure of Right Continuous Right p-Rings, Communications in Algebra (2004), 32, no. 1, 315-332 (with K. Beidar). 8.Semilocal CS Matrix rings of order > 1 over group algebras of solvable groups are selfinjective, J. Algebra (2004), 275, no. 2, 856-858 (with K. Beidar, Pramond Kanwar, and J. B. Srivastava). 9.Nonsingular CS Rings coincide with Tight PP-Rings,J. Algebra, 282(2004), 626-637 (with K. Beidar and P. Kanwar). 10.Nonnegative matrices A with AA# ≥ 0, Linear Algebra and its Applications, 379(2004), 381-194 (with J. Tynan). 11.Modules which are invariant under monomorphisms of their injective hulls, to appear in J. Australian Math. Soc. (with A. Alahmadi and N. Er). 1.Column of Uniform Color in a Rectangular Array with Rows Having Cyclically Reperated Color Patterns, Discrete Math., 254(2002), 371-392 (with S.R. Nagpaul). 2.An Example of a Right q-ring, Israel J. Math. 127(2002) 303-316 (with K. Beidar, Y. Fong, and W.-F. Ke). 3.Rings characterized by direct sums of CS modules, Communications in Algebra 28(9) (2000), 4219-4222 (with Dinh V. Huynh and S.R. Lopez-Permouth). 4.Quotient rings of algebras of functions and operators, Math Zeitchrift, 234 (2000) (4), 721-737 (with A.I. Singh). 5. KD¥ is a CS-algebra, Proc. Amer. Math Soc. 128(2000), 397-400 (with P. Kanwar, S. Malik and J.B. Srivastava). 6.On the symmetry of the Goldie and CS conditions for prime rings, Proc. Amer. Math Soc. 128 (2000), 3153-3157 (with D. Huynh and S.R. Lopez-Permouth). 7.Nonsingular semiperfect CS-rings II, Bull. London Math Soc., 32(2000), 421-431 (with P. Kanwar and S.R. Lopez-Permouth). 8.Design and implementation of an electric text for Linear Algebra with Matlab drills, Proc 12th International Conf. on Technology in Collegiate Math, Addison Welsely, NY 135-139 (2000) (with A.D. Gunawardena). 1.Rings in which every (finitely generated) right ideal is quasi-continuous, Glasgow J. Math 41 (1999), 167-181 (with S.R. Lopez-Permouth and R. Syed). 2.Generalized power symmetric stochastic matrices, Proc. Amer. Math Soc. 127 (1999) 1987-1994, (with R.B. Bapat and K. Manju Prasad). 1.Right-Left symmetry of aRÅ bR=(a+b)R in von Neumann regular rings, J. Pure & Applied Algebra, 133 (1998) 141-142 (with K.M. Prasad). 2.On uniform dimensions of ideals in right nonsingular rings, J. Pure and Applied Algebra, 133 (1998), 117-140, (with T.Y. Lam and Andre Leroy). 3.Nonsingular semiperfect CS-rings, J. Alg, 203 (1998), 361-373, (with S.Brthwal, P. Kanwar and S. Lopez-Permouth). 1. Weighted Moore-Penrose inverse of a Boolean Matrix, Linear Algebra and Applications, 255 (1997), 267-279(with R. Bapat and T. Pati). 2. Nonnegative idempotent matrices and the minus partial order, Linear Algebra and Applications, 261 (1997) 143-154, (with R. Bapat and L. Snyder). 4. Rings of Morita context in which each right ideal is weakly self-injective, Advances in Ring Theory, Birkhauser 31-38 (1997), (with S. Barthwal, S. Jhingan, and S. Lopez-Permouth). 1. On weakly injective continuous modules, Lecture Notes in Pure and Applied Math on Abelian Groups and Modules, Volume 182, Marcel Dekker, (1996) 385-392. 2. A note on 0,1 - matrices, Linear and Multilinear Algebra, 41 (3) (1996), 193-198 (with L. Snyder). 3. When is simple ring noetherian?, J. Algebra, 184 (1996), 784-794 (with D. Huynh and S.R. Lopez-Permouth). 4. On G-based partial order extensions, SIAM J. Matrix Analysis & Applications, 17 (4) (1996), 834-850. (with S.K. Mitra and Hans Werner). 5. Mutual injective hulls, Canadian Math. Bull., 39 (1), (1996), 68-73 (with S.R. Lopez-Permouth and R. Syed). 6. On a class of nonnoetherian V-rings, Communications in Algebra, 34 (9) (1996), 2839-2850 (with D. Huynh and S.R. Lopez-Permouth). 7.Application of Near Rings to Balanced Incomplete Block Designs, Applied Abstract Algebra, Center for Professional Development in Higher Education, Univ. Delhi, Delhi (1996), 12-18 (with K. Bala Subramanian). 8. Applications of Burnside and Polya Theorems, Applied Abstract Algebra, Center for Professional Development in Higher Education, Univ. Delhi, Delhi (1996), 19-37 (with M. Srinivasan). 9. An Application of Finite Fields and Number Theory to Cryptography, Applied Abstract Algebra, Center for Professional Development in Higher Education, Univ. Delhi, Delhi (1996), 96-100 (with L.R. Vermani). 1. Weakly injective modules over hereditary noetherian prime rings, Journal Australian Math. Soc., 58 Series (4) 287-297 (with S.R. Lopez-Permouth). 2. Superfluous Covers, Communications in Algebra, 23 (5) (1995), 1663-1677 (with S.R. Lopez-Permouth and L. Rowen). 1. On weakly projective and weakly injective modules, Canadian J. Math, 46 (5), (1994), 971-981 (with S.R.Lopez-Permouth, K. Oshiro and M. Saleh). 2. Roots of symmetric idempotent Boolan matrices, SIAM Proceedings, Fifth Linear Algebra Conference (1994), 389-393 (with R.B. Bapat). 3. A survey of theory of weakly injective modules, Computational Algebra, Marcel Dekker, N.Y. (1994) 205- 232. (with S.R. Lopez-Permouth). 1. Nonnegative normal matrices, Linear Algebra & Applications 182 (1993), 147-155. (with L. Snyder). 2. On weakly projective modules, Ring Theory, World Scientific Press, N.J. (1993) 200-28. (with S. Lopez-Permouth & M. Saleh). 1. Rings whose cyclics have finite Goldie dimension, Journal of Algebra, 153 (1992), 37-40. (with A. Al-Huzali and S.R. Lopez-Permouth). 2. On a class of QI-rings, Glasgow Journal Math., 34 (1992), 75-81. (with S.R. Lopez-Permouth and S. Singh). 3. On weakly-injective modules and rings, Osaka J. Mathematics 29 (1992), 75-88. (with S.R. Lopez-Permouth and A. Al-Huzali). 4. On weakly-injective modules (expository article), Math Student, 58 (1992), 1-4. 1. A characterization of uniserial rings via continuous and discrete modules, Journal Australian Math Soc., 60 (1991), 197-203. (with S.R. Lopez-Permouth and S.T. Rizvi). 2. Modified iterative methods for consistent linear systems, Linear Algebra and Applications, (1991), 123-143. (with A. Gunawardena and L. Snyder). 1. Continuous rings with acc on essentials are artinian, Proc. Amer. Math Soc., 108 (1990), 583-586. (with S.R. Lopez-Permouth and S.T. Rizvi). 2. Rings whose cyclic are essentially embeddable in projective modules, Journal of Algebra, 128 (1990), 257-269. (with S.R. Lopez-Permouth). 3. On weak monotonocity of the powers of nonnegative matrices, Linear and Multilinear Algebra, 26 (1990), 223-230. (with A. Gunawardena and L. Snyder). 4. On the weak relative-injectivity of rings and modules, Noncommutative Ring Theory, Lecture Notes in Mathematics No. 1448, Springer-Verlag, Heidelberg Berlin - New York (1990), 93-98. (with A. Al-Huzali and S.R. Lopez-Permouth). 1. A generalization of the Wedderburn - Artin theorem, Proc. Amer. Math Soc., 106 (1989) 10-23. (with S.R. Lopez-Permouth). 2. Periodicity of the graph of nonnegative matrices, Linear Algebra and Applications, 120 (1989), 181-192. (with A. Gunawardena and L. Snyder). 3. Generalizations of QF-rings, and continuous and discrete modules, (expository), The Math Student, 57 (1989), 219-224. 1. Finite uniserial rings of finite characteristic, Communications in Algebra 16 (10), 1988, 2133-2135. (with J. Luh and B. Zimmermann-Huisgen). 2. Nonnegative generalized inverses of powers of nonnegative matrices, Linear Algebra and Applications 107 (1988), 169-179. (with A. Berman). 1. Rings whose (proper) cyclic modules have cyclic p- injective hulls, Archiv der Math 48, (1987), 109-115. (with H. Saleh). 2. Rings with finitely generated injective (quasi-injective) hulls of cyclic modules, Communications in Algebra 15 (1987), 1679-1687. 3. Rings, Fields and Vector Spaces, Encyclopedia of Physical Sciences and Technology Vol. 12, Academic Press (1987), 209-221. 4. New Classes of monotone matrices, Current Trends in Matrix Theory, Elsevier Sc. Pub. (1987), 155-156. (with L. Snyder). 1. q-Hypercyclis Rings, Canadian J. Math. v. 37 (1985), 452-466. (with D.S. Malik). 1. Over determined linear systems satisfying nonnegativity constraints, Linear Algebra and Applications, 57 (1984), 205-213. 2. Linear systems having nonnegative least Squares solutions, Linear and Multilinear Algebra, 15 (1984), 121-132. (with L. Snyder). 3. Linear Systems having nonnegative best approximate solutions, Algebra and Applications, Marcel Dekkar (1984), 99-132. 1. Remarks on prime valuation rings, Proc. International Conference of Math., Pecasse Euroset, Maastricht, Netherland (1983), 111-112. 1. Nonnegative rectangular matrices having certain nonnegative w-weighted group inverses, Proc. Amer. Math. Soc. 85 (1982), 1-9. 2. Nonnegative minimum norm least squares solutions of Ax=B, J.I.M.S. 46 (1982), 85-89. (with L. Snyder). 3. Nonnegative matrices A such that Ax=b has nonnegative best approximate solution, SIAM Journal Algebraic and Discrete Methods, 3 (1982), 197-213. (with Y. Egawa). 1. Semiperfect rings whose cyclic modules are continuous, Archiv der Math. 37 (1981), 140-143. (with B. Mueller). 2. Nonnegative l -monotone matrices, SIAM J. Algebraic and Discrete Methods 2 (1981), 66-76. (with L. Snyder). 1. Nonnegative matrices having nonnegative Drazin pseudo-inverses, Linear Algebra and Applications, 29 (1980), 173-183. (with V.K. Goel). 2. Decomposition of nonnegative group-monotone matrices, Trans, Amer. Math. Soc., 257 (1980), 371-385. (with V.K. Goel and E. Kwak). 1. Nonnegative mth roots of nonnegative 0-symmetric idempotent matrices, Linear Algebra and its Applications, 23 (1979), 37-51. (with V.K. Goel and E. Kwak). 2. Nonnegative matrices having same Moore -Penrose and group inverses, Linear and Multilinear Algebra 7 (1979), 59-72. (with V.K. Goel and E. Kwak). 1. 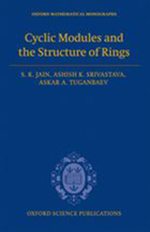 Rings whose cyclic modules are continuous, Journal Indian Math. Soc. 42 (1978), 197-202. (with S. Mohammed). 2. p -injective modules and rings whose cyclic are p-injective, Communications in Algebra 6 (1978), 59-72. (with V.K. Goel). 3. Nonnegative matrices having nonnegative generalized in- verses (expository), The Math. Student 46 (1978),42-48. 1. Nonnegative Matrices A with At=Am. Bull International Statistical Inst., 47 (1977), 256-259. 2. Semiprime rings having finite length w.r.t. an idempotent kernel functor, Israel J. Math, 28 (1977) 110-112. (with S. Singh). 3. Rings and Modules of fractions w.r.t. an idempotent kernel functor (expository), The Math. Student 45 (1977). 4. Rings whose cyclic modules have certain properties and the duals, Ring Theory: Lecture Notes Series in Pure and Applied Math., Marcel Dekker, v. 25 (1977), 143-160. 1. Semiperfect rings with quasi-projective left ideals, Math Journal Okayama University, 19 (1976), 39-43. (with S. Goel). 2. Rings whose proper cyclic modules are quasi-injective, Pacific J. Math. 67 (1976), 461-472. (with R.G. Symonds and S. Singh). 1. On quasi-injective and pseudo-injective modules, Canadian Math. Bull. 18 (1975), 359-366. (with S. Singh). 2. Rings whose cyclic modules are injective or projective, Proc. Amer. Math. Soc. 53 (1975), 16-18. (with S. Goel and S. Singh). 3. Rings with quasi-projective left ideals, Pacific J. Math. 60 (1975), 169-181. (with S. Singh). 4. Rings with a Polynomial Identity. 1. Prime rings having one-sided ideal with polynomial identity coincide with Special Johnson rings, Journal of Algebra, 19 (1971), 125-130. 2. Restricted regular rings, Mathematische Zeitschrift, 121 (1971), 51-54. (With S. Jain). 3. Self-injective group rings, Archiv der Math. 22 (1971), 53-54. 1. A note on the adjoint group of a ring, Archiv der Math. 21 (1970), 366-368. (with P.B. Bhattacharya). 2. Rings having solvable adjoint groups, Proc. Amer. Math. Soc. 25 (1970), 563-565. (with P.B. Bhattacharya). 1. Rings having one-sided ideal satisfying a polynomial identity, Archiv der Math. 20 (1969), 17-23. (with S. Singh). 2. Rings in which each right ideal is quasi-injective, Pacific J. Math. 31 (1969), 73-80. (with S. Mohammed and S. Singh). 3. A note on the generalized commutative rings, Journal Indian Math. Soc. 33 (1969), 1-6. (with P.K. Menon). 1. Prime rings having one-sided ideal satisfying a polynomial identity, Pacific J. Math. 24 (1968), 421-424. 2. Rings with polynomial constraint, Journal Indian Math. Soc. 32 (1968), 79-87. (with L.P. Belluce). 1. On pseudo-injective modules and self pseudo-injective rings, Journal Math. Sc. 2 (1967), 23-31. (with S. Singh). 1. Polynomial rings with a pivotal monomial, Proc. Amer. Math. Soc. 17 (1966), 942-945. 2. A remark on primitive rings with J-pivotal monomial, Journal Math. Sc. 1 (1966), 59-61. (with L.P. Belluce). 3. Generalized commutative rings, Nagoya Math. Journal, 27 (1966), 1-5. (with I.N. Herstein and L.P. Belluce). 4. Rings with constraints (Expository), The Math. Student 34 (1966), 174-178. 1. On unitary and p -unitary rings, Publications mathe-maticae, Debrecen (1964), 241-244. Basic Abstract Algebra, *Second Revised Edition, Cambridge University Press, London-New York, 1994. (with P.B. Bhattacharya and S.R. Nagpaul) *First Edition, 1986 and Reprinted 1989. Ring Theory (Edited), Lecture Notes in Pure and Applied Mathematics, v. 25, Marcel Dekker, N.Y. (1977). Noncommutative Ring Theory (Edited), Lecture Notes in Mathematics No. 1448, Springer-Verlag, Heidelberg-Berlin- New York, (1990). (with S.R. Lopez-Permouth) . Ring Theory (Edited), World Scientific Press, N.J.,(1993). (with S.T. Rizvi). 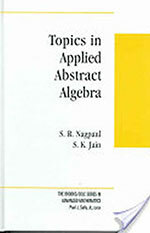 Applied Abstract Algebra (Edited), Center for Professional Development in Higher Education, University of Delhi (1996). Algebra and its Applications, Contemporary Mathematics 259(2000) (coedited with D. Huynh and S.R. Lopez-Permouth). Algebra and its Applications, Contemporary Mathematics 419 (2006) (coedited with D. Huynh and S.R. Lopez-Permouth). Noncommutative Rings, Group Rings, Diagram Algebras and their Applications, Contemporary Mathematics (2008) (coedited with S. Parvathi).